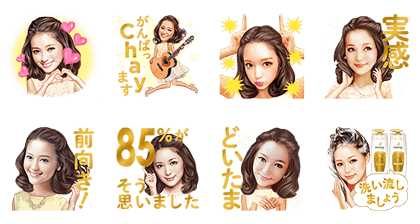 http://www.line-stickers.com/ – New Pantene & chay Collaboration Stickers Line Sticker | Chay, singer of the theme song from the popular Pantene commercials advertising their new series, finally comes to LINE stickers! Put in the serial code attached to samples of the new products to get them. Available till November 17, 2014. Copyright : Copyright © 2014 P&G. All Rights reserved.